Northern Arizona University students and faculty took a walk on the red carpet at the Rocky Mountain Emmy Gala last month, where they picked up multiple student Emmys and even a lifetime achievement award. Every year, the National Academy of Television Arts and Sciences – the same organization that puts the notorious Emmy Awards together – creates a banquet to honor those who are making significant contributions to the art of television. Angele Anderfuren, a lecturer in the Electronic Media and Film program at NAU, nominated a show put together by her news production class for an award. 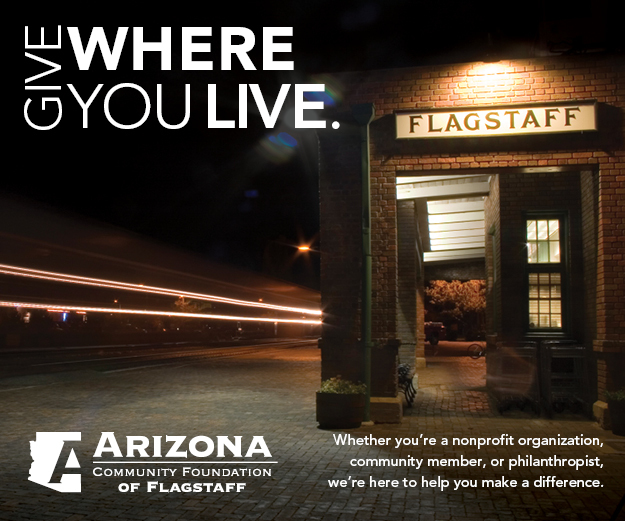 The show is a compilation of news packages students created about different attractions in Flagstaff – titled the FLG Show. Five former students from the class attended the awards ceremony to account for their class’s Emmy, which was the first win of its kind for NAU. In addition to the NAU students who won awards from the academy, long-time journalism professor Dale Hoskins was inducted into its Silver Circle Society, an honor for people who have been in the broadcast business for at least 25 years and have made a significant contribution to the industry. Hoskins was an anchor for various news channels and radio stations for nearly a decade before arriving at NAU, where he has instructed students in the art of broadcast journalism for the past 35 years. Hoskins’s award was granted to him not only for his achievements during his time on the air, but for the quality of training he provides his students. Anderfuren helped nominate Hoskins to be inducted into the Silver Circle when she heard all of the praise his former students gave him at the NAU School of Social and Behavioral Sciences Hall of Fame ceremony last year. She then reached out to six of his former students – including many in prestigious broadcasting and managerial positions – to write letters of recommendation on his behalf. Shelly Watkins, a former student of Hoskins and currently the general manager of KNAU Arizona Public Radio, wrote a letter of recommendation for Hoskins. It was he who encouraged her to pursue a degree that would put her in management roles – despite her reluctance at the time. Hoskins has countless stories about students he worked intimately with to help them graduate college and succeed in the industry. He is most proud of the students who weren’t particularly talented but wanted to succeed badly. “I can’t tell you how many times over the last 26 years I’ve looked back and thanked God I followed Dr. Hoskins’s advice,” Watkins said. Hoskins attributes his award to his ability to produce broadcasters who are not only talented, but unpretentious. He learned this lesson as a young broadcaster who was irritated by the amount of drama that went on in the newsroom. He sees his award and the Emmys won by students and NAU-TV as a sign that the university is on the right track and has what it takes to compete with the larger broadcast programs like the Cronkite School of Journalism at Arizona State University.